Next up is the 2015 MRFC Oval Ball. At RO 40 (for members, or RO 45 if you're not a member) it has got to be the best priced 4-course meal and open bar Ball of the year. Thursday May 21st at the Afrah ballroom in the Grand Hyatt, it's a great ball and all are welcome to join in with the end-of-season festivities. 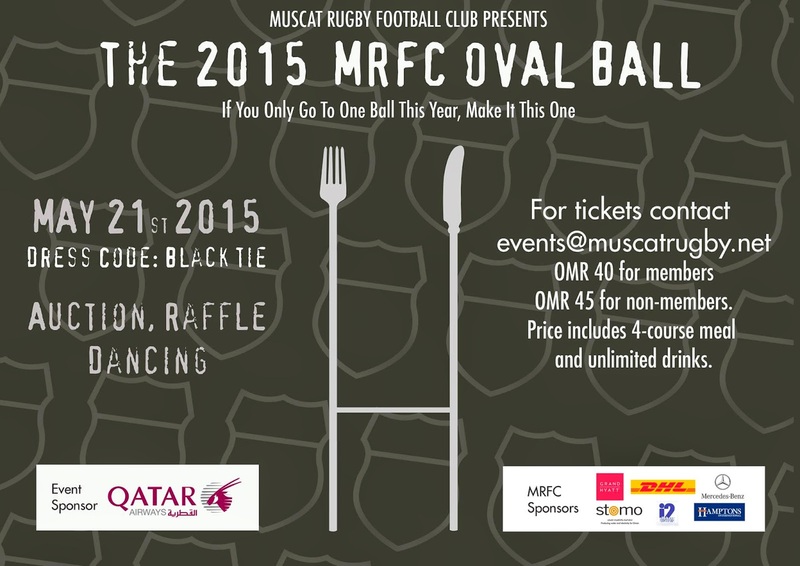 You can check out the facebook event page or email events@muscatrugby.net for more information and tickets/table bookings. And finally.... the summer memberships to MRFC are coming! If you'd like to join up now, its RO 35 to become a member of MRFC until August 31st, 2015. If you want to wait until June 1st, you can get a 3 month membership to MRFC for RO 28. So RO 35 now (or RO 70 for a family), or RO 28 in June (or RO 55 for a family). 40% off drinks until 21:00 and a 20% discount on all beverage consumptions after 21:00. Blackout dates due to high occupancy are: Eid or any other Public Holidays where discounts do not apply. 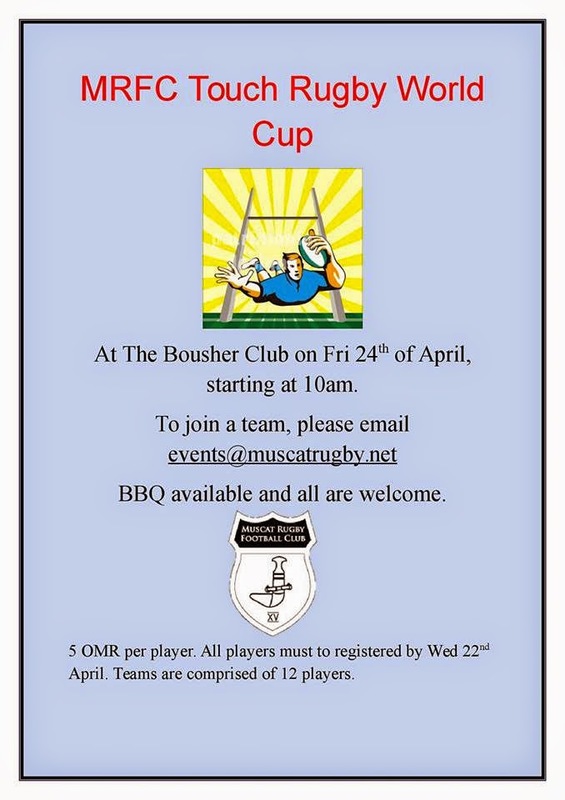 So if you'd like to join the MRFC and make use of those benefits, download this form, fill it in and email it, along with some photo's of yourself and any family members you are applying for to members@muscatrugby.net and they will be in touch.